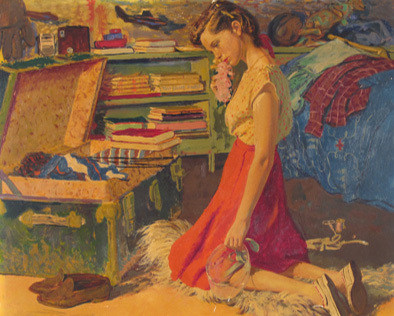 The Rockwell Center for American Visual Studies at the Norman Rockwell Museum is the nation’s first research institute dedicated to the integrative study of American illustration and its impact in our world. The Rockwell Center’s goal is to enhance and support scholarship relating to this significant public art form, exploring the power of published images and their integral role in society, culture, and history, and the world of art―from the emergence of printed mass media in the mid nineteenth century to the innovations of digital media today. 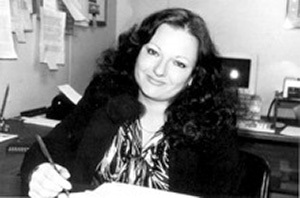 Michele H. Bogart. 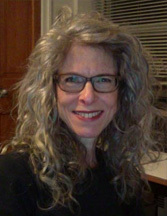 Ph.D. has taught art history and American visual culture studies at Stony Brook University since 1982. Bogart is author of Public Sculpture and the Civic Ideal in New York City, 1890-1930 (1989/1997), recipient of the 1991 Charles C. Eldredge Prize; Artists, Advertising, and the Borders of Art (1995); The Politics of Urban Beauty: New York and Its Art Commission (2006), and Sculpture in Gotham: Art and Urban Renewal in New York (2018). She has been a Guggenheim Fellow and Terra Foundation Visiting Professor of American Art at the JFK Institut, Freie Universität von Berlin. From 1999 through 2003 she was Vice President of the Art Commission of the City of New York (since renamed the Public Design Commission), the City’s design review agency, and presently serves on the PDC’s Conservation Advisory Group. 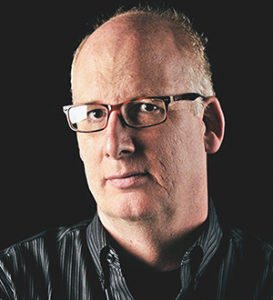 Christopher J. Lukasik, Ph.D. is an Associate Professor of English and American Studies at Purdue University. His research has received over twenty fellowships, including long-term awards from the National Endowment for the Humanities, Fulbright Scholar Program, American Antiquarian Society, Boston University Humanities Foundation, Purdue Research Foundation, and Harrison Institute for American History, Literature, and Culture at the University of Virginia. He has presented over eighty papers on three continents and his work has been published in over a dozen journals. 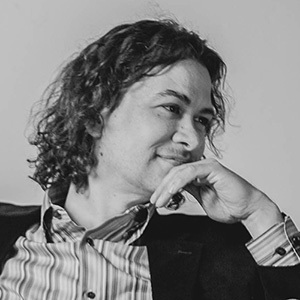 He is the author of Discerning Characters: The Culture of Appearance in Early America (2010), and is currently working on a new book project entitled The Image in the Text: Intermediality, Illustration, and Nineteenth-Century American Literature. Erika Doss. Ph.D. is a professor in the Department of American Studies at the University of Notre Dame. Her wide-ranging interests in American art and visual culture are reflected in the breadth of her publications, including Benton, Pollock, and the Politics of Modernism: From Regionalism to Abstract Expressionism (1991, recipient of the Charles C. Eldredge Prize), Spirit Poles and Flying Pigs: Public Art and Cultural Democracy in American Communities (1995), Elvis Culture: Fans, Faith, and Image (1999), Looking at Life Magazine (editor, 2001), Twentieth-Century American Art (2002), The Emotional Life of Contemporary Public Memorials: Towards a Theory of Temporary Memorials (2008), Memorial Mania: Public Feeling in America (2010), and American Art of the 20th-21st Centuries (2017). She is also the recipient of several Fellowships and Fulbright awards. D.B. Dowd, Senior Fellow, is Professor of Art & American Culture Studies at Washington University in St. Louis, where he also serves as the Faculty Director of the D.B. Dowd Modern Graphic History Library, which was renamed in his honor. He writes, lectures, and curates exhibitions on the history of illustration and cartooning, and is also active as a practitioner. Dowd’s book Stick Figures: Drawing as a Human Practice will be published by the Rockwell Center for American Visual Studies in 2018. He was the consulting curator for Mac Conner: A New York Life, a traveling exhibition organized by the Museum of the City of New York (2014). In addition to teaching studio courses in drawing and illustration, he has taught courses art theory, popular visual culture, and the history of illustrated press. His blog Graphic Tales (https://www.dbdowd.com/graphic-tales-blog/), has been available online since 2007, and publishes the illustrated journal Spartan Holiday. Barbara Tepa Lupack, former professor of English at St. John’s University and Wayne State College and academic dean at SUNY/ESC, is author or editor of more than twenty-five books, including Literary Adaptation in Black American Cinema: From Micheaux to Morrison; Richard E. Norman and Race Filmmaking; Ivar Krueger and Jeanne de la Motte; Early Race Filmmaking in America, and a forthcoming study of silent filmmakers Theodore and Leopold Wharton. Fulbright Professor of American Literature in Poland and later in France, she is the recipient of numerous grants and awards, including Kosciuszko Foundation, National Endowment for the Humanities, SUNY (State University of New York) Foundation, Everett Helm Visiting Fellowship at the Lilly Library at Indiana University (2011), and Robert Lehman Foundation Senior Scholar Fellowship at the Rockwell Center for American Visual Studies (2014). As New York State Public Scholar (2015-2018), she lectures widely on race filmmaking and racial representation in American cinema. 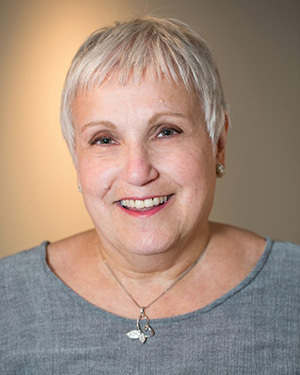 Lenore D. Miller is associate professorial lecturer at The George Washington University where she has been in a leadership position in the visual arts for 43 years. 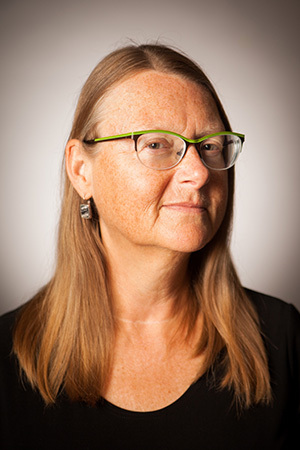 An associate professorial lecturer in the Department of Fine Arts and Art History, she is also a free-lance writer for various art publications, which have included ARTnews, KOAN, Camerawork, New Art Examiner, Metalwork, and Washington Print Club Quarterly. In October 2017 she curated and wrote the catalogue for a two-person exhibition at the Kreeger Museum in Washington, D.C.:SMITH|PALEY. Her academic degrees include B.A. in Art and Art History and M.F.A. in Printmaking. Participating as a speaker for the cruise industry, Miller has been giving special interest and destination related talks for more than six years. A frequent traveler to Mediterranean destinations, she has also done transatlantic and transpaciific cruises. She has presented talks about the Baltic, Russia, Germany, and Scandinavia. As destination speaker, Miller was aboard the Celebrity Millennium’s “Japan Jubilee” cruise in September, 2015. It was a spectacular voyage across the north Pacific from Vancouver to Shanghai with a stop at Dutch Harbor, Alaska. Keenly fascinated by Japan, Miller visited Japan and presented papers in Korea. In Washington, she worked with the JICC (Japan Information and Culture Center, Embassy of Japan, Washington, D.C.) Miller served as an advisor and curator for art activities coordinated with Embassy of Japan, approximately coinciding with the exhibition, Japan: The Shaping of Daimyo Culture at the NGA (1988-1989) and Miller independently curated an exhibition “Journeys East” which featured two Japanese contemporary artists and two American artists inspired by traditional Japanese culture. She has written essays for Taro Ichihashi, a Japanese-born artist living in New York, for exhibitons in Tokyo, Japan. Lenore Miller is a member (2008) of the Cosmos Club, Washington, D.C. and served for more than three years on the Art Committee. Her collage work has has been included in a group exhibition there called “Survival.” She is also a participating member of ArtTable, the leadership organization for professional women in the visual arts. Sarah Litvin is a doctoral candidate in U.S. History at the CUNY Graduate Center where she studies gender, visual culture, and parlor pianos. 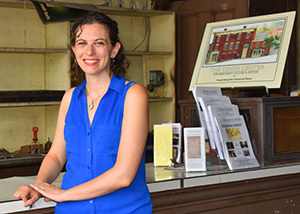 Additionally, she is the Interpretive Planner for the Reher Center for Immigrant History and Culture, a new museum and center for civic engagement in Kingston, New York. Sarah’s curatorial expertise is digital exhibits; she has developed interactives for the New-York Historical Society, the National Museum of American Jewish History, and the Lower East Side Tenement Museum and also holds a certificate in Interactive Technology and Pedagogy. Prior to coming to CUNY, Sarah was Senior Education Associate at the Lower East Side Tenement Museum, where she directed accessibility and living history programming from 2008-2013. 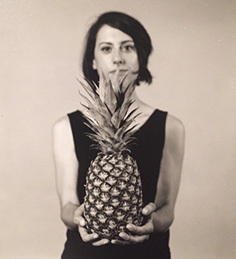 Tracy Stuber is a PhD candidate in Visual and Cultural Studies at the University of Rochester. Her dissertation, “Photography on the Ground: Four Artists in the American Landscape, 1973-1982,” examines how artists adapted avant-garde strategies of the 1960s to explore 1970s discourses about historical consciousness. From 2015 to 2017, she held an Andrew W. Mellon Fellowship in Digital Humanities, and she is currently teaching an undergraduate class about activist and artistic uses of reproduction in second-wave feminism. The Rockwell Center for American Visual Studies at the Norman Rockwell Museum is the nation’s first research institute dedicated to the integrative study of illustration and its impact in our world. The Rockwell Center’s goal is to enhance and support scholarship relating to this significant public art form, exploring the power of published images and their integral role in society, culture, and history, and the world of art―from the emergence of printed mass media in the mid nineteenth century to the innovations of digital media today. We invite applications from academic scholars and curators for participation in the following programs, which are designed to advance research and access relating to this influential but understudied aspect of American visual culture. Cultural engagement with the history of popular images has accelerated in the 21st century. There is a growing awareness that illustration and comics have mattered more in the cultural history of the modern period than has been properly recognized, and museum curators and academics have begun to work with popular materials to a greater degree than before. Institutional developments have paralleled rising interest in these topics. And yet, despite increased engagement, the critical focus of most work has tended to be local, biographical and analytically underdeveloped. The Rockwell Center, in consultation with other institutional and critical participants in these somewhat inchoate fields, recognizes a methodological vacuum at the heart of popular image studies. Ideological biases and a lack of critical material continues to compromise our understanding of visual culture in a social context, which results in an incomplete view of our shared cultural history. To address this critical lacuna, the Rockwell Center envisions a two-year project designed to bring leading thinkers and fresh perspectives to the study of published images, with the goal of producing a series of foundational statements of the emerging field, delivered via a broadcast symposia and published and digital volumes. The group will be convened twice a year, engaged in discussion and debate, and charged to pose and answer key questions for what may be an emerging discipline. Despite their seeming invisibility to serious commentators, popular images and the social texts in which they were embedded (e.g., The Ladies’ Home Journal, the Saturday Evening Post, Sports Illustrated) contributed to their audiences’ sense of the culture in which they lived. How can such sources add to our understanding of the modern period? Aesthetic judgments have had an enormous impact on definitions of culture. They have insulated high culture from certain forms of scrutiny, but more importantly they have retarded serious cultural thinking about popular forms. In which ways do hierarchical distinctions offer valuable distinctions of persisting value? How may the democratic values of popular culture be rehabilitated for another era? Due to the highly local, disparate and atomized character of much writing on popular images, we lack shared taxonomy and vocabulary for description and analysis. How might this problem be solved? Should it be, during an era of intellectual history that tends to prize the fluid and suspect the fixed? The lionization of authorship and cult of singular artistry has caused work of obvious cultural relevance to be shunted aside, or to be discussed as if no particular person or community of production created it. How can we overcome the cult of the creator while simultaneously respecting and interrogating communities of production in the absence of clear credits? We are in need of reflection on whether and how to settle on sets of indispensably important practitioners. How do we speak of significance? Is there such a thing as the history of American illustration, or put another way, can there be a historiography of American illustration? How do the related fields of comics, cartooning and animated film participate in such narratives? Humanists often engage popular images without proper visual training. Close looking is essential for successful encounters with images and objects, especially popular sources “hidden in plain sight.” Why and how might familiarity with production methods matter? What approaches to training scholars in close looking might be imported from art and design training and/or art historical study? The Rockwell Center for American Visual Studies seeks to engage a group of scholars and critics to explore, debate and write on key problems in the history and criticism of the popular printed image in the United States between 1850 and the present. The Center launches this effort to catalyze the creation of founding documents in the study of illustration and illustrated materials, an underdeveloped field. Fellows will be expected to: meet twice annually; write one targeted paper per year; engage in dialogue with other Fellows; participate in a symposia or program; contribute to a privately maintained blog; and permit the Rockwell Center to publish designated works in order to disseminate the results of the seminar. The Center seeks to attract candidates for the seminar program with substantial experience and demonstrated interest in the study of and/or engagement with modern cultural production. Scholars, critics, curators and practitioners with at least five years of experience in their field are invited to apply. Demonstrated ability to engage with others in productive dialogue and exchange is required. Fellows will receive a stipend of $5,000 per calendar year as well as travel expenses. Interested parties should submit a statement of interest which responds to the Topics and Problems outlined above. Which areas are of interest to the candidate, and why? The Statement of Interest should not exceed 1000 words. In addition to the Statement of Interest, the application should include a cover letter, a current CV, a writing sample, and a list of three referees. 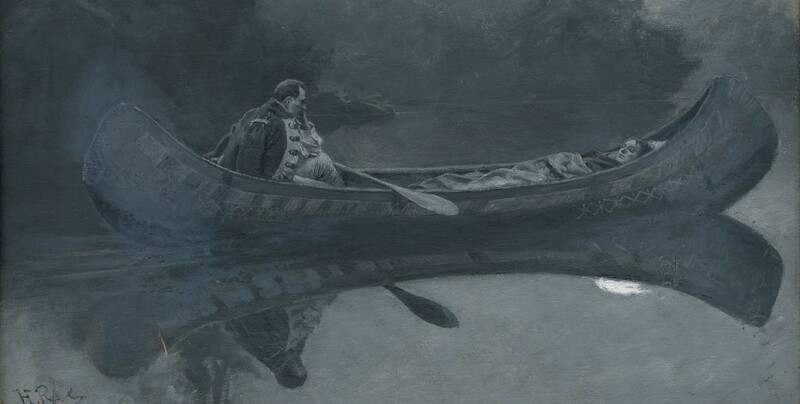 The Rockwell Center for American Visual Studies awards annual fellowships promoting the scholarly study of American illustration art to advance understanding of the role of published images in shaping and reflecting culture. 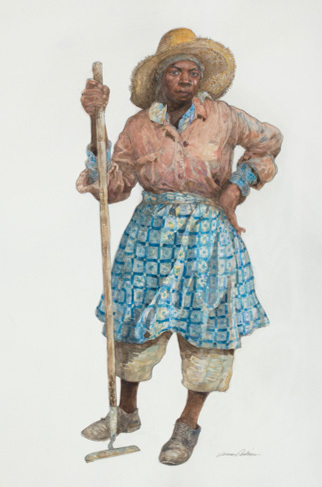 Rockwell Center Fellowships are open to senior scholars, advanced graduate students, and museum professionals choosing to pursue research or projects in or relating to the subject field of illustration art from diverse academic perspectives, including but not limited to Art History, American Studies, Visual Culture Studies, and History. This fellowship may be used during the year/twelve month period for which it is awarded. The term of these grants may be carried out in residence at the Norman Rockwell Museum, the Fellow’s home institution, or at another appropriate site. Fellows will receive a stipend of $1,500 in support of their work. Rockwell Center Senior Fellowships are intended for scholars with a distinguished publication record who hold a doctoral degree, or who possess an equivalent record of professional accomplishment at the time of application. 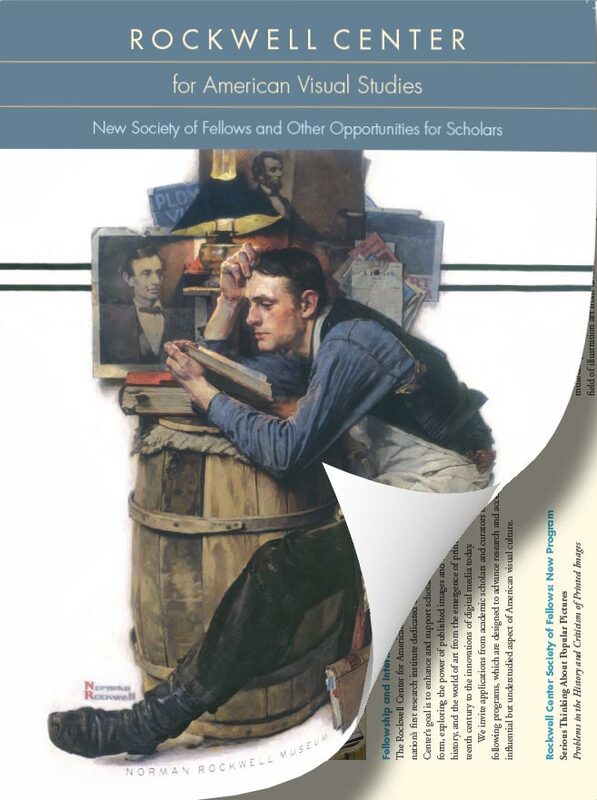 Rockwell Center Dissertation Fellowships are open to doctoral candidates who are currently working on dissertation research or writing in or relating to the field of American illustration art and visual studies. Offer a proposal for scholarly research focused on or relating to a topic about American illustration art or referencing published images. Although the topic may be historically and/or theoretically grounded, attention to the art object and/or image should be foremost. Projects must be object and/or culturally oriented, employing art historical or visual studies approaches. The Rockwell Center for American Visual Studies offers a named, paid internship in honor of illustration historian, gallery owner, and author Walt Reed in recognition of Mr. Reed’s lifelong commitment to scholarship relating to the art of illustration. This internship provides a unique opportunity for third and fourth year college and graduate level students interested in pursuing arts and museum careers to gain practical experience within a nationally accredited organization dedicated to the art of illustration in all its variety. The intern will spend eight to ten weeks focusing on a project or projects established within the Curatorial/Exhibitions Department. The internship requires at least a four-day-a-week commitment including occasional weekend days. The intern will receive a stipend of $2,500 in support of their work. The Rockwell Center for American Visual Studies at the Norman Rockwell Museum is the nation’s first research institute dedicated to the integrative study of illustrator art. We invite applications from academic scholars and curators for participation in the following programs, which are designed to advance research and access relating to this influential but understudied aspect of American visual culture.